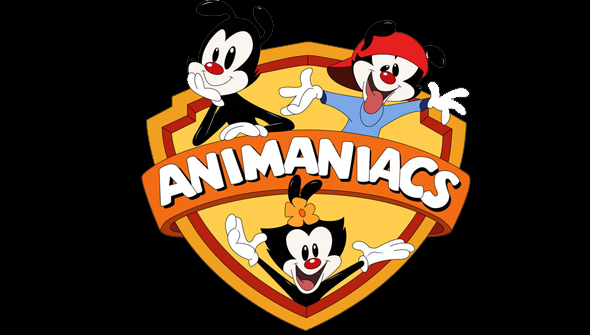 A while ago we reported that plans were underway for a possible reboot of the classic 90's series Animaniacs. At the time, the producers were reportedly looking for a suitable home for the new series. We speculated that Netflix was a likely contender, as it was at least partially the success of the series on that platform that was leading to the mooted revival. It's now been announced that the new show has found a home- not at Netflix but at Hulu. The company obviously has faith in the Warner Brothers (and Warner Sister, Dot) as they've ordered two full seasons straight away, the first of which is due to arrive in 2020. The new series will be produced by Hulu in association with Warner Bros Animation and Amblin. Steven Spielberg will be back as executive producer. As part of the deal, Hulu will also become home to the classic Animaniacs episodes (meaning they will be leaving Netflix) alongside Tiny Toon Adventures and Pinky and The Brain. Other details are being kept under wraps for now. While it's being referred to as a "reboot", we don't know for sure that it won't be more of a continuation. In fact, it would be a surprise if it didn't reference the original in some way. Also of concern is that Hulu is (for now at least) only available in the United States. In theory, there would be nothing to stop a company such as Netflix or Amazon getting the rights to the series everywhere outside of America, as similar deals exist for series such as Star Trek Discovery and American Gods. However, following the Disney/Fox deal, Disney will have a controlling stake in Hulu, so who knows how this will affect future plans for expansion. Are you excited about an Animaniacs comeback? Let us know in the comments or via our social media channels!